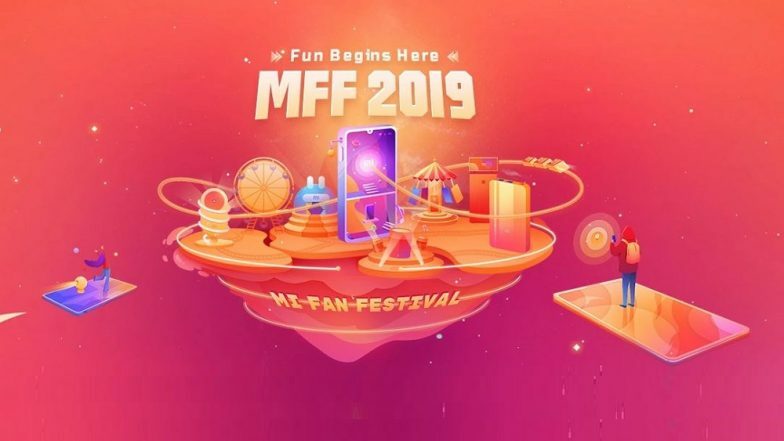 The Chinese smartphone manufacturer – Xiaomi has finally brought Mi Fan Festival 2019, which marks the anniversary of the company. The phone maker will be hosting several offers and deals during the Mi Fan sale. Commencing from today onwards, this sale will run till April 6, 2019. The customers can avail attractive deals and lucrative offers at Mi.com, online partner, Mi Home, Mi Store and offline partner stores. Xiaomi Teases Its Upcoming Two-way Foldable Phone. As a part of the Mi Fans Sale, the company is offering huge discounts on smartphones such as Poco F1, Mi LED TV 4 Pro, Redmi Note 5 Pro, Redmi Note 6 Pro and others. The customers can get the 6GB and 128GB version of Poco F1 at a discounted price of Rs 20,999. Xiaomi’s popular Mi LED TV 4 Pro is up for sale at a price of Rs 45,999. On the other hand, the popular smartphone – Redmi Note 6 Pro is listed with a discount of Rs 5000 which brings the price to Rs 10,999. The 4GB and 6GB variants of Redmi Note 5 Pro phone are available at Rs 10,999 and Rs 11,999 respectively. Alongside great offers on products, Xiaomi also brings exciting interactive games like Fun and Furious during the sale. It is a car racing multiplayer game with regional and global leaders wherein the players stand a chance to win attractive prizes like Mi Sports Bluetooth Earphones and Redmi Note 7. The ‘Play & Win’ game starts from today and will be available till April 6. Additionally, there is also ‘Re 1 Flash Sale’ which we have seen in previous Mi sales as well. As a part of this sale, the customers stand a chance to get products like Redmi Note 7 Pro, Mi Soundbar, Mi LED TV 4A PRO (32-inch), Poco F1 at just Re 1 each day. Moreover, the customers can also avail additional discount of 5 percent up to Rs 500 on HDFC Bank cards as well as EMI transactions. The customers can also get flat 15 percent instant MobiKwikSuperCash of up to Rs 2000 during the sale.